With its lovely mix of state-of-the-art design, history, exciting art galleries, and Nordic food, Oslo is one of the most beautiful cities in the world. It offers an excellent setting to explore as well as relax. 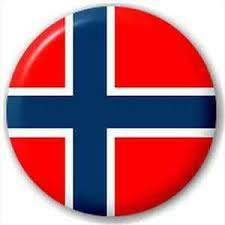 However, despite such fantastic appeal, this Norwegian capital is quite expensive. In fact, the Deutsche Bank ranks it as the most costly place in the world to get a beer. Where should you stay in Oslo? Getting hotel accommodations in Oslo is quite expensive and challenging. For instance, when big affairs and conferences come into the city, a lot of tourists are pushed all the way to Lillehammer to get a place to stay. Just like a good number of hotel industries, AirBnB leases its private apartments to all tourists at a price less expensive than that of hotels. It’s one of the best places to enjoy a good night’s rest at an affordable price. 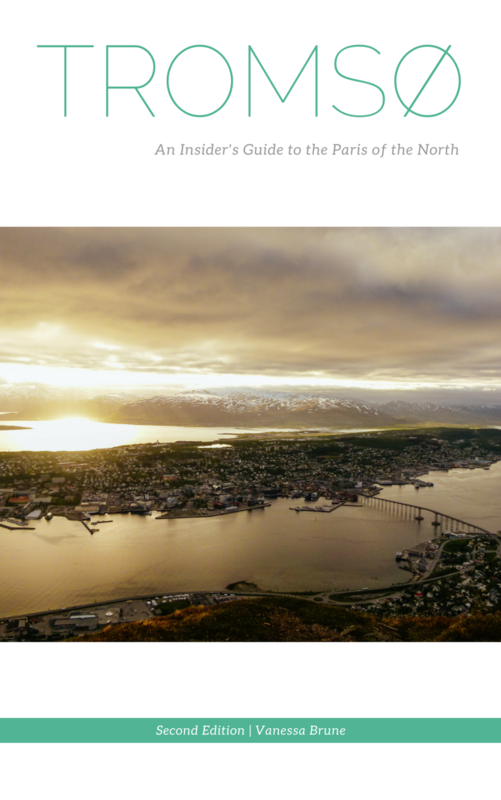 Pro Tip: If you haven't registered with Airbnb yet, use this link and receive $44 starting credit as a gift from Snow in Tromso! Besides, Norway has a law known as ‘Right to roam.’ It states that you can camp at any location for free for up to 48 hours. However, the spot you choose should be 150m from any house. Comfort Xpress is a perfect budget-friendly spot to stay whenever you’re in the city. The hotel not only tries to save money but also the planet. That’s why it has a green theme consisting of vegan food and an overall worldwide protection program. It consists of impressive amenities like a beautiful rooftop terrace, a fitness center, and a relaxation bar. You’ll also enjoy its heated bathroom floors that allow you to go for a quick shower even in the coldest days in Oslo. What about the mode of transport in Oslo? This is a hip, authentic, and young experience which you need to try out. If you know the right places to get a comfortable bike, you’ll discover that it’s an exotic and affordable experience too. However, this is all thanks to the City’s Municipality which introduced the Oslo City Bike rental system. You can rent a bike here! Exploring the city by walking is not a bad idea too. In fact, the city centers are rather small, and if you live in central parts, it’s easy to experience a good number of the attractions by going for a stroll. Besides, it’s also a useful fitness boost as it allows you to shed those excess calories. 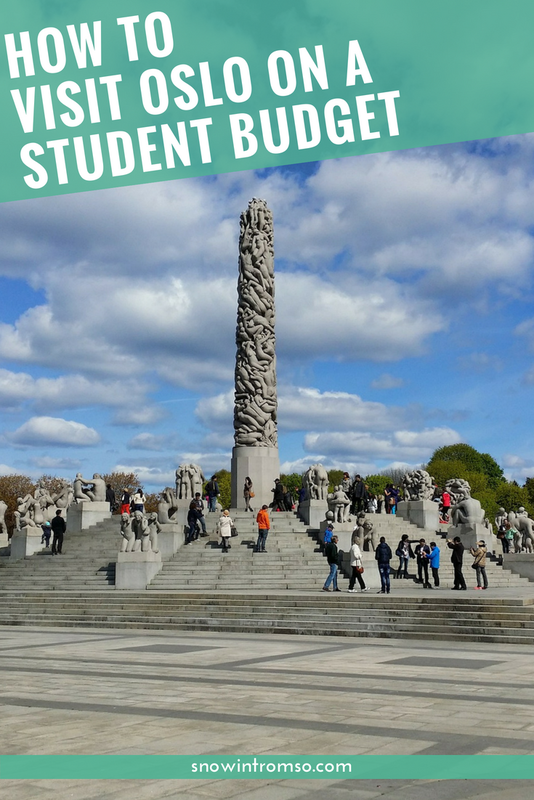 Book a budget walking your of Oslo here! If you love visiting museums, the Oslo pass is a fantastic choice. It’s available for 1 to 3 days and caters for your bus fare or a boat ride. On top of that, it gives you total access to over 30 museums and galleries all over the city. How about catching a ferry to the Bygdøy peninsula? This is a fantastic spot which showcases a lot of beaches, museums, and galleries! It has a quaint and rustic feel capped with a rich history. All these are arranged in a small radius to make everything easy and straightforward. You could either visit the place by bus or take the scenic route through Pier 3 near the city hall. The service starts from mid-march and expires in mid-October. It only costs 45 NOK for one way and 65 NOK for a return trip. This is a fantastic museum which is carefully laid out in various themed rooms. It features an exciting combination of permanent and changing exhibitions that talk about contemporary issues. 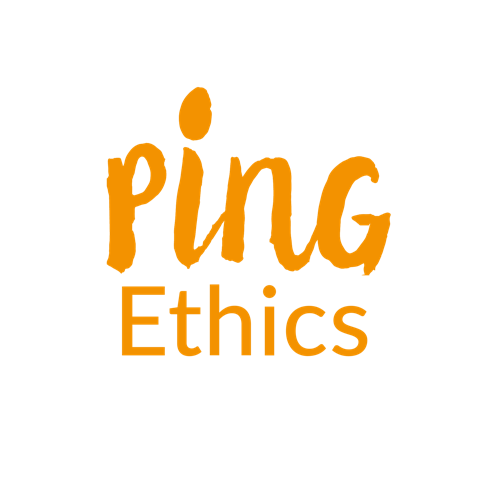 Good examples are matters relating to war, peace, and conflict resolutions. Furthermore, you can combine the trip to the Nobel Peace Centre with the neighboring City Hall. This is where the award is presented each year on the 10th of December. Tweet it: Would you like to visit #Oslo without breaking the bank? 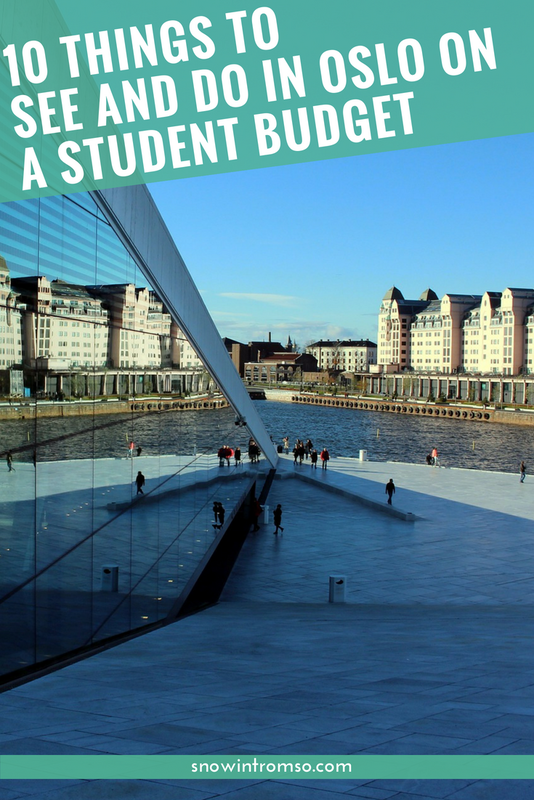 Here are 10 things to see and do in the city on a student budget via @snowintromso! The rather ugly 1950s appearance of City Hall should not fool you into thinking that it’s a boring place. Inside the building, you’ll be treated to magnificent and free designs. Marble covers all the floors, stairways, and balustrade. Huge murals showcasing mythical and real scenes line its walls from the ceiling all the way down. Such opulence proceeds upstairs in its palatial rooms. Here, you’ll find antique paintings, designs, and chandeliers. A visit to this city hall is just like a walk into a Disney palace, but most importantly, it’s all for free! Where should you eat in Oslo when on a tight budget? This is probably the area where you’ll spend a considerable chunk of your cash. Usually, a meal for two will go at 300 to 800 NOK which translates to around 25 to 50 dollars or 22 to 44 EUR. Try multiplying it by 3 and the value you get will make you take the first flight back home. Luckily, with these three spots, you won’t have to spend too much! Most students living in Oslo save a lot of cash by shopping for food and groceries in the many different supermarkets in the city. So, whenever they want to, they can prepare their sandwiches or any other meal. These stores are not only cheap but also come with a wide range of goods which you can prepare in your kitchen. However, if you like trying different flavors and foods, the Delicious Deli De Luca and Pepe’s are the two other places you need to visit. Do you want to grab a quick bite? A hot dog maybe or a soft drink? The Deli De Luca is the best place to eat out. It has a vast variety of coffee flavors and other exotic foods like a piece of Pesto Rosso with Tiramisu. This snack is probably the cheapest in Oslo and a tasty one too! A perfect location for excellent food combined with a charismatic ambiance. Here’s where you’ll find the best pizzas in town at a student-friendly price. To have a relaxing dinner, you can have a slice of pizza and a mug of cold beer. You could also order the pizza you want from a list of six tasty ingredients. So, these are the cheapest places for you to have a good meal, see what’s left of the great Norwegian Vikings and stay whenever you’re in Oslo. We’ve put into consideration the high cost of living and limited student budget. All in all, by carefully going through these tips, such problems should no longer bother you. So, what would you do if you were in Oslo? Christina Battons is a web content expert from LA. 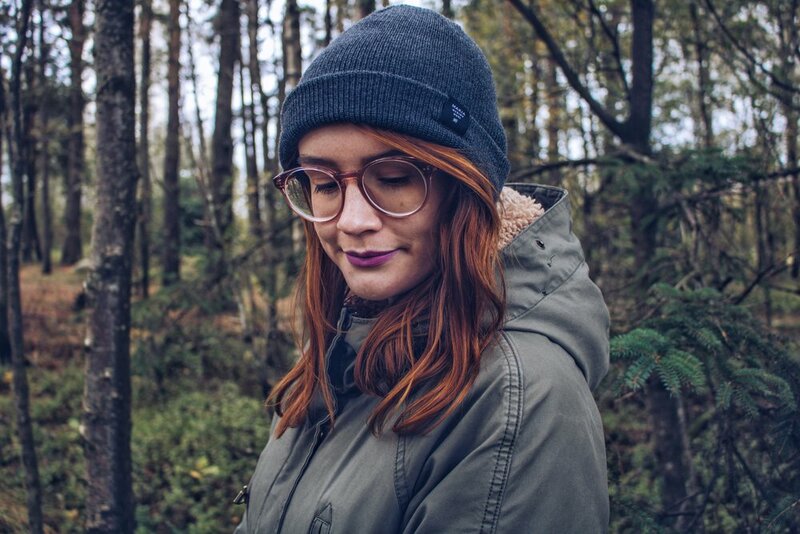 Creative writer, she is able to connect various thoughts into a single theme. Christina loves to stay up on the latest content marketing trends, and her works have been published on Custom-writings.net and other business resources. *Header image by Andreas Rønningen on Unsplash.